Well ya’ll I’m feeling rough today. Fibro brain and I have 8 dogs in my care today. I don’t really have much small talk in me so we’re going to jump right into the polish. I can always talk polish! Since December is such a crazy month for everyone the Polish Pickup won’t be pre-order this month. That means everything will have a cap and will already be at PPU headquarters ready to be shipped by the end of the sale. What do you need to do? Use the wishlist feature! 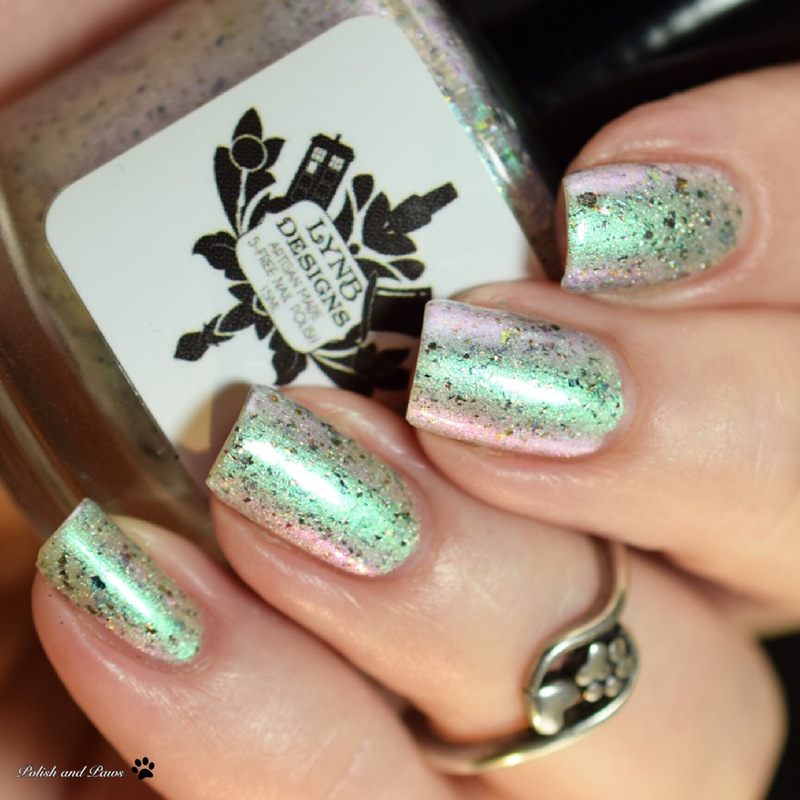 This is helping a lot of makers guage interest in their polish so they can ship more if demand is higher than anticipated. That also means you have a better chance of getting what you love. Now.. onto the polish! 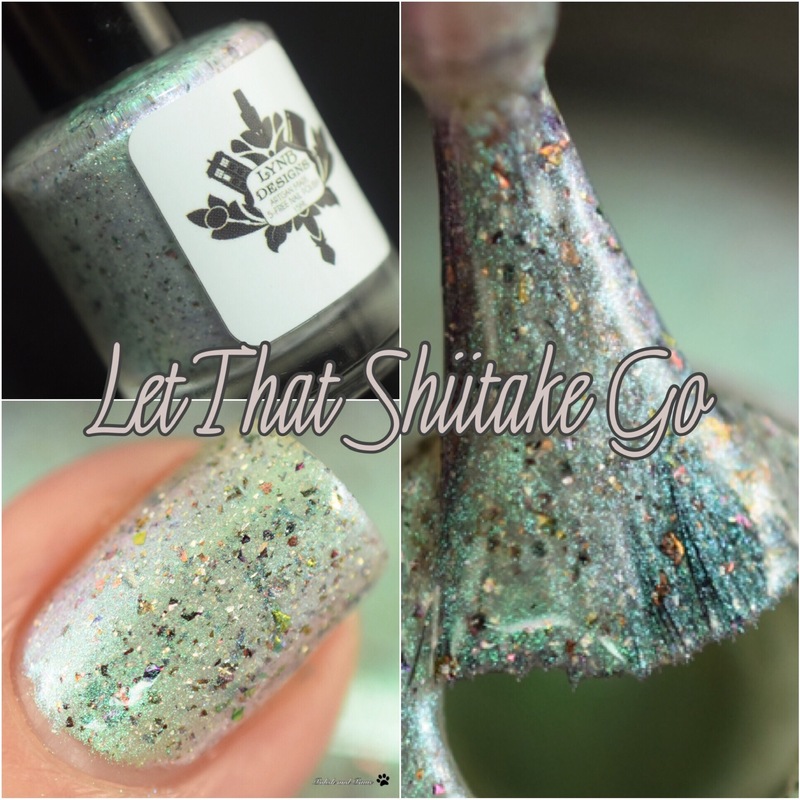 Let that Shiitake Go is described as a pale multichrome base that shifts from green to aqua to purple to pink in extreme angles with holo micro flakies, and UCC flakies that shift from green to copper to red to gold to blue and red to copper to gold to orange. Check out these color shifts! I took extra pics because I couldn’t help myself. Formula was nice with no problems at all. 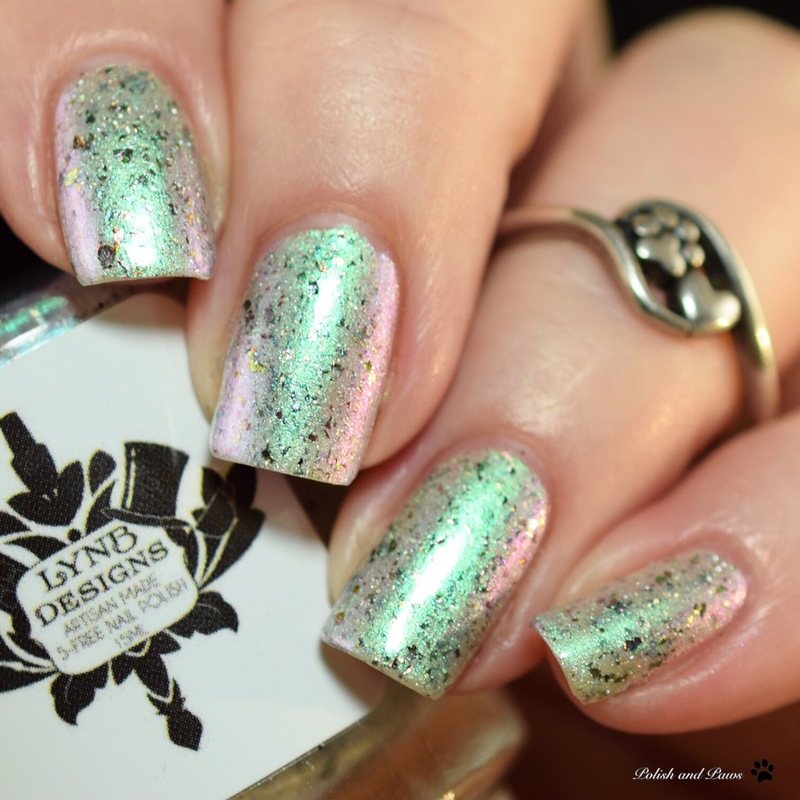 My swatches show 3 thin coats with glossy top coat. Let that Shiitake Go will only be available through The Polish Pickup Friday, December 7th at 11am EST through Monday, December 10th at 11:59pm EST. It will retail for $12.00 and is currently capped at 190. For more information on LynB Designs check out the links below.